Your little girl can be an elegant and sophisticated vampire this year. 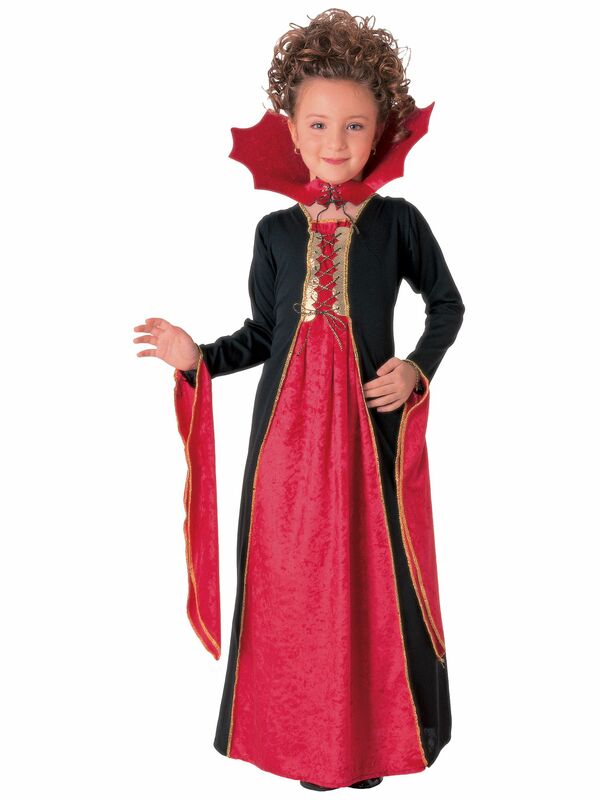 The Gothic Vampiress Child's costume is a floor length, black and red velvet dress. It laces up the front, has long draping cuffs, and a big stand up collar. This is the perfect combination of cute girl, grown up style, and vampire.